We basically would want all the best things for our pets. We usually try to get them something that could give them comfort or just to make them look good or feel better. It can either be a spontaneous or spur of the moment where we want to buy them gifts or would be their birthday, Christmas or any holidays. 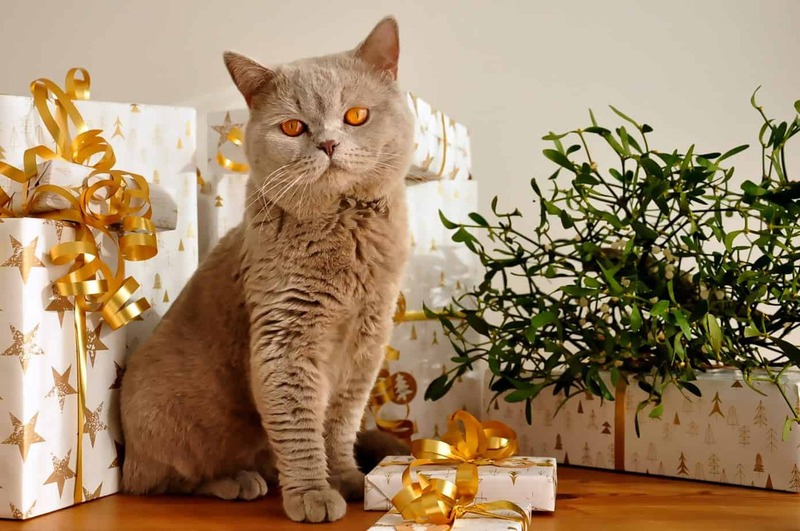 That's why in the idea of gift giving, we have decided to bring you a short list of the best cat gifts to help you celebrate your day with your cats. The gifts is anything you want to give them but thinking about being more practical, you might want to get them something that they can use or make their way of life comfortable beyond normal. Toys can also be a great choice but apart from being played with, they serve less purpose than other gifts. Cats also have a tendency to get bored easily with what they usually play. You would end up buying toys from time to time which will come slightly expensive. That's the great difference of giving toys as gifts compared to practical ideal gifts such as the best cat scratchers, cage, litter box and other more. Cats will never get bored with scratchers. It is one of the most common, ideal and best cat gifts you could give them. It's in cat's basic nature to scratch all the time. Not to mention that their scratching behavior would sometimes bring home or furniture damages. Imagine going home to a bed with pillows torn apart by cat scratching. Are toys good cat gifts? Do we need to be practical? Do cat gifts need to be expensive? Is it okay to give cat food or treat? Is it necessary to buy cat gifts? Our first featured product review and the top best cat gift is the Ultimate Cat Scratcher Lounge from PetFusion. The manufacturer is widely known in producing different pet products from cats, dogs, ferrets, rabbits and more. This cat scratcher is one of their best-selling cat products. It has an elegant and fashionable design that goes well with home design. It has different colors/designs, all of which have been made with great fashion sense. You can choose between Walnut Brown, Cloud White and Slate Gray. It is an affordable cat gift that does not easily get replaced compared to toys and other impractical gifts. This product naturally attracts your cat's liking. It can be used as a lounge or as a scratcher. The cat furniture is made from recyclable materials, mainly cardboard. It has an attractive, fashionable and elegant design to fit your standards. It has suitable dimensions to provide space and comfort for your cats. This product was featured on Animal Planet series "My Cat from Hell". Compared to some scratchers, the design where it naturally attracts your cat will save you some trouble. This will go perfectly to any home furniture you have at home. It does not use any toxic materials. The glue is made from non-toxic ingredients such as starch. Conforming to the cat's behavior of scratching, this will definitely make them happy. A happy cat will cause less stress and trouble. The scratcher size may be far too large for small to medium size cat. It naturally attracts cat for scratching but they less likely stay on the platform. This is a cat litter pan from Catit. Rather than your usual cat litter box, this has unique design. The pan is large enough to fit your cat. It features an entrance where your cat can go through the door and into the pan. This is more comfortable than normal cat litter boxes as it provides privacy regardless of its location around the house. 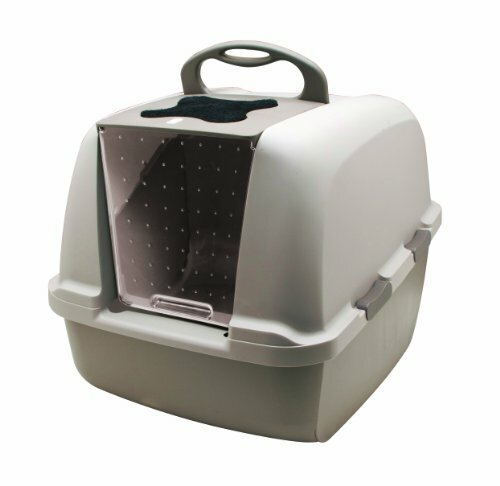 It won't require you to keep the litter pan in a secluded area where your cat's can do their business privately. As you all know, cats want to be in a non-crowded area when using the litter box. It is also greatly advised to keep it in an area where there are less noise and can't be reached by other house pets such as dogs. However, this cat litter pan will save you all the trouble when it comes to location and privacy. The litter pan is quite spacious. It has doorways that could fit small to large size pets that they can easily pass through. It uses carbon filters to dissipate foul odors. This pan can be used by several cats in the household. The pan provides privacy at all times regardless of location. The litter pan is quite durable at an affordable cost. It comes with a free sample filter. The design has a hood that you can open at any time you want to clean the litter pan. It does not release odors upon use. The litter pan may not attract cats naturally and would require proper training. It would be an extra effort to keep replacing the filters to control the odor. The Feline Calming Pheromone Collar is a dual purpose collar that works for your pet's identification tag as well as keeping them calm. 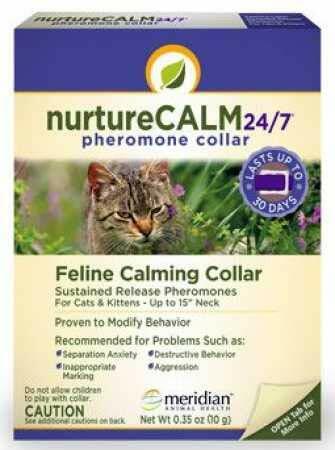 This is best used for cats experiencing anxiety or to those with excessive behavior. It can also be used for irritated cats from noise, fireworks, car horns and more. The collar also works when your cat experiences fear. It has been proven to modify your pet's behavior into something you can tolerate or live with inside the house. It greatly helps with owners who love to travel with their pet. Apart from travelling, it also works great to calm your cat as you visit the vet. It can be worn by your cat at any time, even if you're just around the house. It only needs to be cleaned or washed from time to time as its maintenance. This greatly modifies your cat's behavior at almost instantly. It's easy, fast and convenient to use. The collar is a good and practical alternative from medicine for anxiety relief. Cats can easily adjust to the design of the product. Discreetly disguise itself as a normal cat collar. It has a high success rate. The collar’s effectiveness wears off over time which means that it is an additional expense as there is a need to purchase a new collar set. Rough behaviors of your cat can easily break the collar. Make sure to wear it properly and securely. This is Cat Mate Locking Cat Flap. It is a cat door designed to provide access for your cats indoors and out. Many cat pets do not want to be locked up inside the house all day. That's one of the reasons why cats may misbehave most of the time because they are unable to perform their natural behaviors and some of their private businesses indoors. However, it's also not wise to let your cat live outdoors. They are usually curious about their surrounding and would go explore places at times that could lead to accident and put their well-being at risk. It features a poly carbonated flap that can be locked and unlocked. The door has a trimmable lining for up to 2 inches. 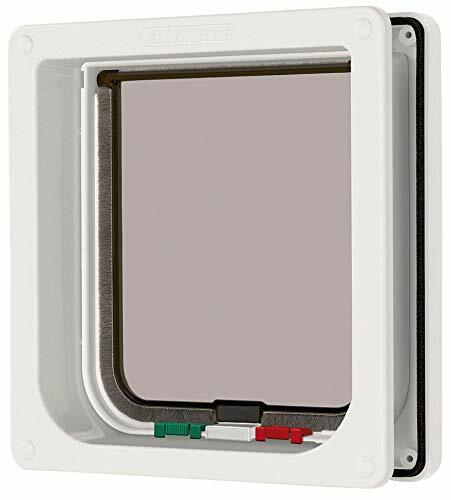 This cat door can fit most doors and requires easy installation. The flap is transparent. You can easily check if your cat is on the other side when the door is locked and fails to pass through. It has a simple and easy-to-use and easy-to-install design. The locking mechanism works perfectly if you want to provide or limit their access. The product is weather-proof. It can withstand different weather conditions. It features a bush strip that helps in reducing energy loss as the cat passes through. It doesn't have any automated feature such as an automatic locking system or sensor. Large cats may have a hard time passing through. They possibly can but it would cause them some energy as they jump through. A great idea for a gift would be a cat shampoo. Not only that it's practical but it has many benefits if you use it regularly. 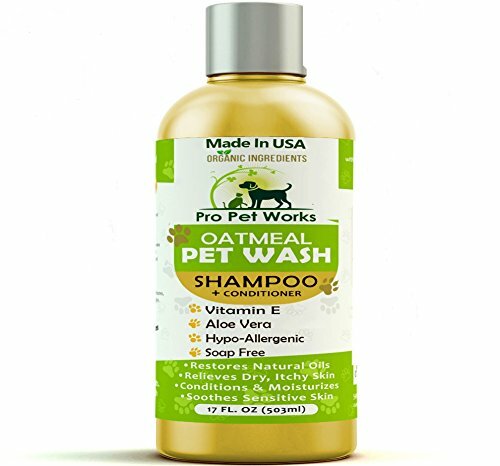 This shampoo can be used as your cat's daily, weekly or monthly shampoo. Rather than giving them scented, regular shampoo, why not bathe them with something that could strengthen their coat, make their skin healthier and keep them away from allergies. This shampoo can also relieve your cats with itchiness and free from fungus. The product can be used for most pets apart from cat. Dogs, rabbits, ferrets along with other home pets can benefit from it. It is practical. It is a natural shampoo, rich with vitamins and minerals for a great and affordable price. It is enriched with aloe Vera extract and almonds oil for your cat's coat and hair. This shampoo uses natural ingredients with no coloring, toxic chemicals and unscented as scents might trigger allergies. It is hypoallergenic. This shampoo does not trigger any allergic effects and used to gradually treat allergies and other skin conditions. The product is made and tested from the US which makes it a guaranteed, quality controlled product. This shampoo uses all natural ingredients which makes it safe for cats and does not irritate the eye, skin or nose. Instantaneous effects can be noticed as the hair starts to soften and easy to brush right after bath. Apart from being natural, the packaging is also nature friendly. It is made from biodegradable materials. It can be used for dry skins. Shampoo has moisturizing effects. The shampoo is not scented. You'd see a cat clean but you'd barely notice any changes with the smell. The scent from natural ingredients does not last long. Searching for a good gift comes some considerations by figuring out what to look for in a certain product. These are key features that would determine whether or not it would be the best cat gift for your beloved feline. Key features play a vital role in your decision making. It is actually in most buyers’ guide. It sets a standard to each and every product where you can base your judgment if a product you are about to purchase passes the criteria of being effective, viable and practical. A versatile product means that it could cater to different levels of needs. Discussing cat products, a great way to put this key feature would be how it adapts to changes, whether it's change with application, user or used in other purpose. Can it by other types of animals? How many cats can use it? How long will it take before you need some replacement? Performing in those ways will determine if a product is built or designed to cater different needs which makes it highly versatile. Another great key feature to consider is the practicality. Your cats may not appreciate some of your gifts and it's all dependent on how they use them. Adding to that, practicality is something that assesses the usefulness of the product. The best cat toys are actually great as it can really give your pet a good time but it's not that practical. It's a good choice if you don't really care about financial budgets. But if you do, make sure that the product is something your cat can use for their benefit. Ease of use is one minor key feature but could be something you can really hope for with a product. It also includes easy-installation for some cat products that requires so. There are some products that are very useful but can be hard to use. In addition to that, it makes it important for a product to include a detailed manual for installation and an instruction manual on how to use. A great example of a product that requires so would be a cat cage, cat door, cat collar and more. The next key feature is safety and convenience of our pet. There are lots of products, especially the ones that includes chemical mixture such as shampoo, conditioner, pet anxiety products and other more, needs to be determined if it is safe for pet use. Some products include chemicals and ingredients that might trigger some physiological and allergic reactions when used by pets. That is why it is greatly advised by experts to at least check out and conduct some research about the product or you can look for products that use natural ingredients and are hypoallergenic. Thinking of something as a treat or gift for our cats, you do not need to give them something very expensive. Varying your decisions with key features 1 to 4, affordability is something that would also determine the product's practicality. Our cat couldn’t really tell the difference in comfort, aesthetics and functionality between an affordable and expensive cat product. A good example for this would be an expensive food feeder and an affordable food feeder. Both will still provide the same type of food you fill the tank or container regardless of its features. However, an expensive product always seems to provide great comfort for cat owners rather than the cat. Toys are actually a great gift for cats but it's really not a good investment. It will provide long hours of fun for your cats but they will get bored playing after a few days or weeks. It will result to buying new set of toys just so they can start playing again which would come a little expensive. However, if you don't care about budgets as you just want to let your pet have fun, it's a good choice. Adding to that, cats that play around have controlled behaviors. They can vent out their excessive scratching, licking, biting and other types of cat behaviors to their toy. It will result to less damage in home furniture. It is greatly advised for you to be because it would not affect or bring any financial difficulties as you take care of your cat or pet. However, it's fairly optional. If there are no financial struggles or you are in abundance of cash, then you can buy your pet whatever you think they need or want as gifts. You can buy your cat lots of toys, clothing, luxurious cages and more. We'd even see celebrities with their cats wearing dazzling fashion clothes and jewelries. The decision of how much you're going to spend to your cat is up to you. Just don't go further than what you can afford. Not at all, there are so many cheap and affordable cat gifts like what we have listed. They are practical cat gifts that serve great purpose in providing a healthy cat lifestyle and great comfort to your pet and you. You can also give them food out of their normal diet or cat treats that they can deeply savor during the moment. Other people even buy cakes on their cat's birthday or treat them with a fresh salmon or other delicious fishes. Cats will be grateful for what you provide them on their daily needs. Gifts are just additional perks for we just want to let them feel more of our affection, love and care. Yes, it is okay and you can definitely can. Cat food or treats are one of the most common gifts. You may not really notice it but daily cat food that we give to our cats is more than enough to be a gift. Occasional cat treats are also common, letting them eat beyond normal diet. But if you really want to give them more than just food, it's not really an issue. Many people would want to provide their cats with things other than food to make things comfortable for both cats and owners. No. Cat gifts are fairly optional. Owning a cat as pet does not require you anything but to provide them with necessary things that could sustain life or provide to their survival. That would be food, water and shelter. Apart from the three, all things are optional. It is up to you if whether or not they need to have the best litter boxes or not as you can also train them to do potty outside. It is up to you to decide whether or not they need toys as cats will always find a way to keep themselves preoccupied, so on and forth. These products are all considered to be the best cat gifts being the main reason of practicality. It would be wise to consider cat scratcher to be the best cat gift others on the list would still do fine. Also, you might want to consider the best cat collars coz they are also needed for your pet tags. Furthermore, if budget is out of the question and you would just want to provide them with gifts that could bring them comfort and happiness even for a short while, then you can look for other types of gifts such as the best cat food, cat treats, automatic cat feeder and more. Our cats will greatly appreciate what we provide to them even just the simplest of the things. Feeding cats would already make them grateful. Going further is really not necessary but it will always make us feel great as we want to show and let them feel our affection.